An adventurer wouldn't be caught without gear to protect them in battle! Each player can easily obtain gear in Winterfrost Legacy by battling the Bosses in Chaos Chess. 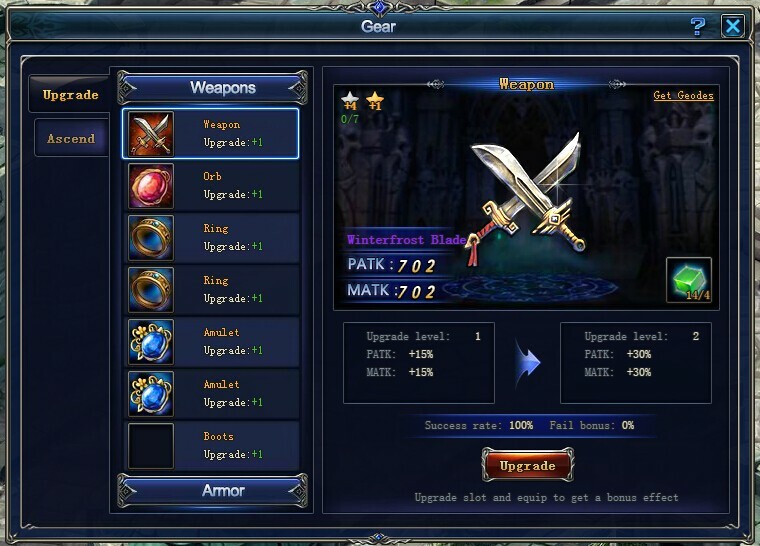 Once you have your gear you not only need to equip, you should also upgrade it! Upgrading your gear is one way of increasing your Power. The difference with gear system in 'Winterfrost Legacy' compared to other games is that rather than upgrading gear, you upgrade the gear slot. This gives you the freedom to replace gear as you please! Upgrading gear requires Gear Geodes. Upgrades that do not succeed still use up Gear Geodes, but adds to a greater chance of success next time you try to upgrade. 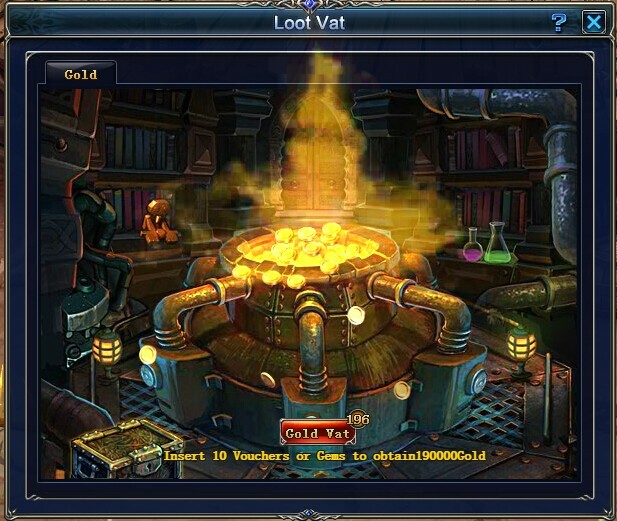 Gear Geodes can be obtained from the Loot Vat. 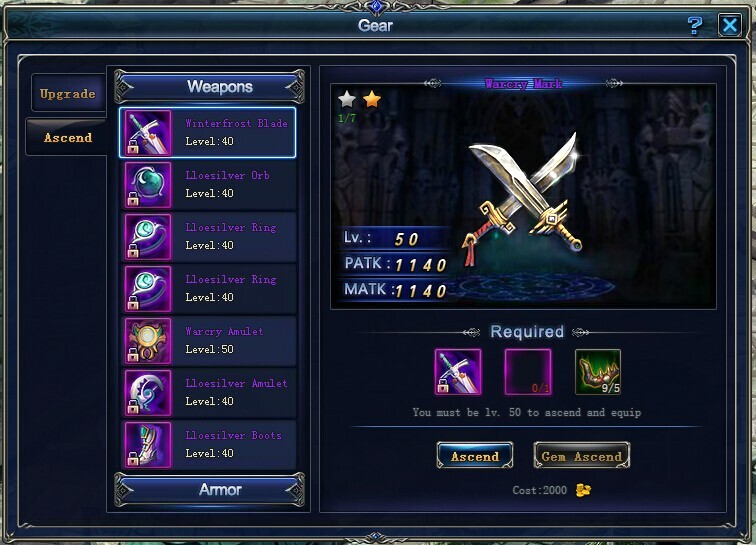 Spend 30,000 Gold to get Gear Geode Ⅰ.
Ascending requires ascension items and Gear Drafts.